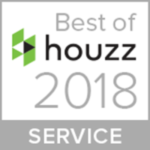 Kitchen cabinets with intricate detail are beautiful, but but all those crevices can be difficult to keep clean–especially for those of us with busy schedules. Every surface in a kitchen is susceptible to crumbs, dirt, stains, and even splatters, but cabinets tend to be especially hard hit. 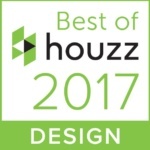 Luckily, there are practical ways to minimize cabinet maintenance, and that starts with the right cabinet design. 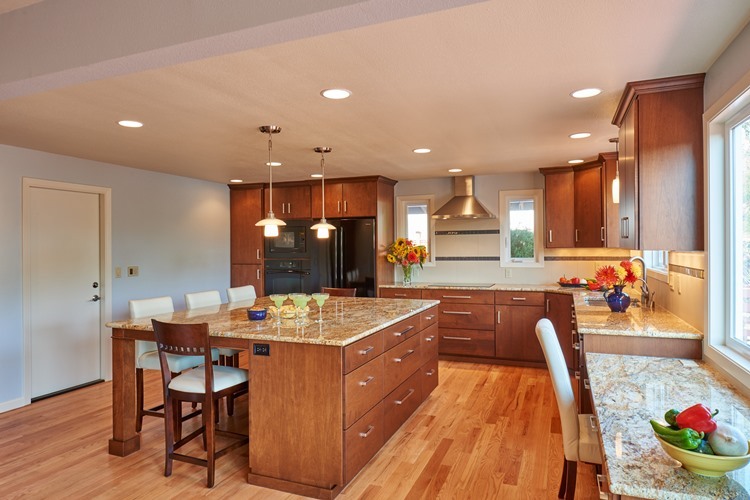 Here are some practical tips you may want to consider when selecting new cabinets. 1. Choosing a door style with minimal detail can make cleaning a breeze. Raised panel door styles have nooks and crannies that are magnets for dust and dirt. Slab door fronts don’t have this issue, so wipe-down is easy. These are definitely more suitable for modern or contemporary styled kitchens, but there are other options for traditional kitchens. Shaker-style doors are a nice compromise since they have fewer dust collection spots than raised-front doors, but more detail than slab-front doors. 2. You may want to opt for flush cabinet ends. 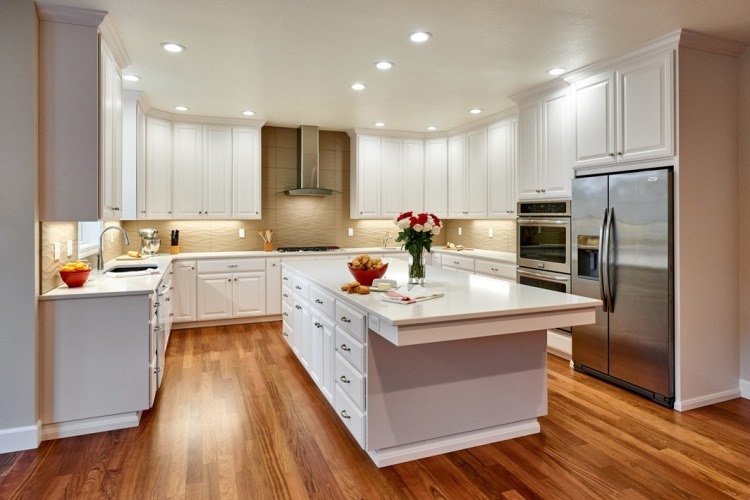 Flush ends match the color of your cabinets and are smooth and sleek, which means you can run a cloth over it a few times to speed up the cleaning process. 3. There are benefits to either stain or paint finishes. 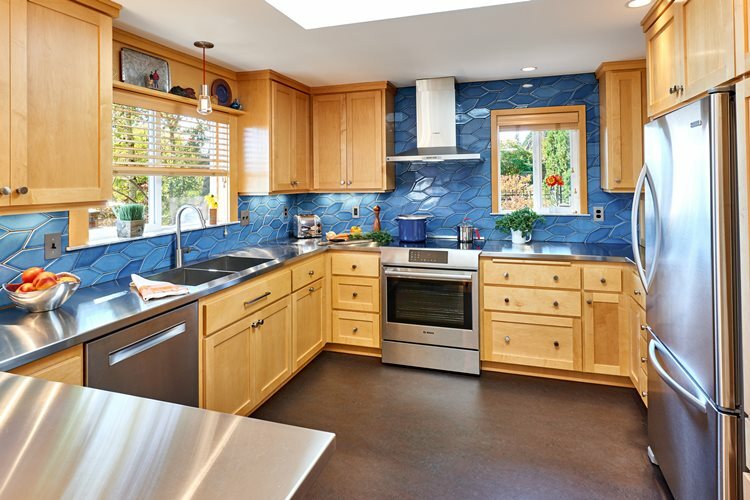 Painted cabinets are a great way to go, especially if you have more traditional tastes. They also offer a clean aesthetic to your kitchen and, with their flawless finish, make clean up a breeze. 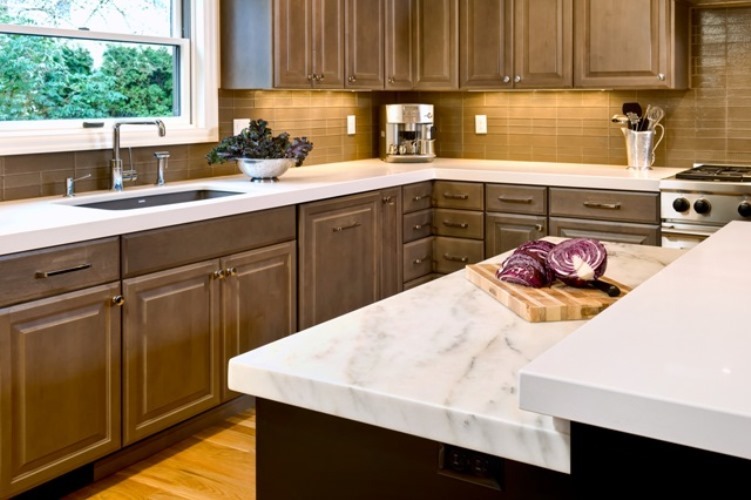 By comparison, stained cabinets create warmth and allow the natural wood grain and texture to show through, and they are easier to touch up if your cabinets get a scratch in them. Touch up markers for stains are easy to find and come in a variety of colors, as opposed to markers for painted cabinets. 4. Consider a wood with detailed grain. If you’re set on a dark cabinet stain, select a wood species that features the grain. 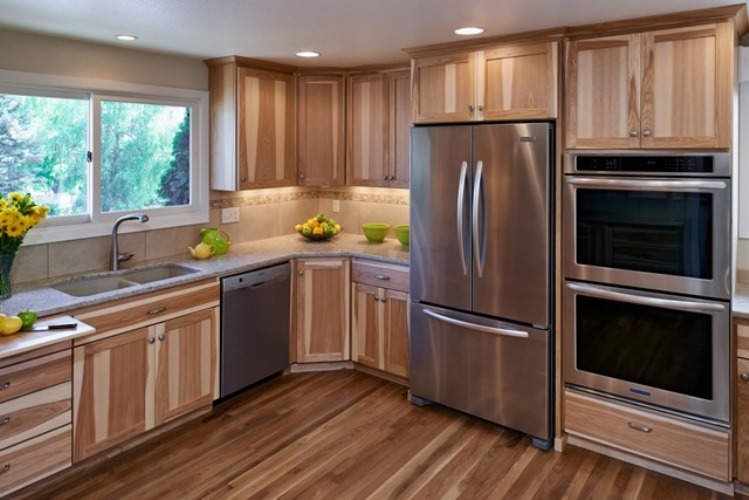 Cabinets with visible grain don’t show scratches, stains, and crumbs as much as a more-muted wood. It’s also harder to tell that a cabinet stain has been touched up when the surface has visible grain. 5. Designer details like crown molding, corbels, decorative legs, and light rail molding add more to love but also more to clean. You should eliminate extra trimmings in order to cut back on the time spent cleaning your kitchen cabinets. There are other designer touches you can use that require less maintenance. 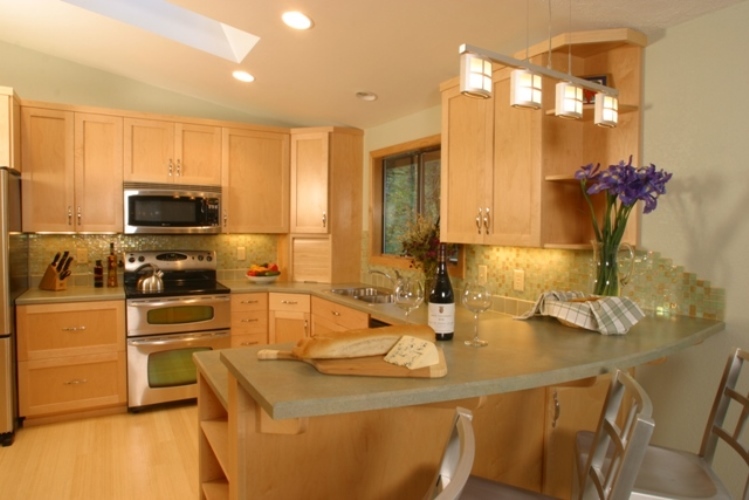 For example, colorful cabinet paint, whimsical lighting, or eclectic bar stools provide visual interest while supporting a low maintenance, easy-to-clean kitchen. 6. Invest in great hardware for your kitchen cabinets. Some older cabinet styles as well as some more modern looks feature cupboard doors with no hardware, but if you want less fingerprints and fewer wear and tear on your door fronts, door pulls and knobs are the way to go. Steer clear of stainless steel and chrome hardware since they attract fingerprints and water spots, and tend to be harder to clean. 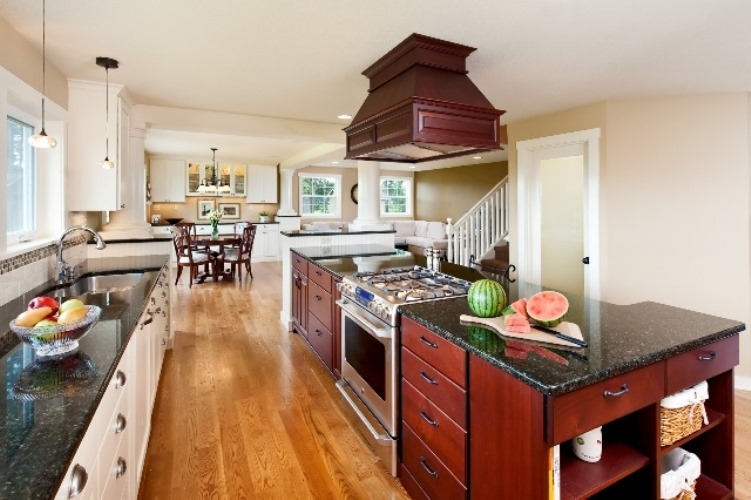 Choosing a color that blends well with your kitchen will improve its appearance while minimizing cleaning time. 7. Reduce open shelving as much as possible. Open shelving is a great canvas for displaying your favorite decor and cookware, whether it’s on a wall, on an island, or at the end of your cabinets. But it takes more time and effort to clean all these spaces and keep it organized. To shorten your clean up list, use open shelving as an accent – not as an overall look. 8. Minimize glass door fronts. Again, these are something that should be used only as an accent. Glass door fronts are attractive, but they attract their fair share of dust, dirt, and smudges and they can be time-consuming to clean. 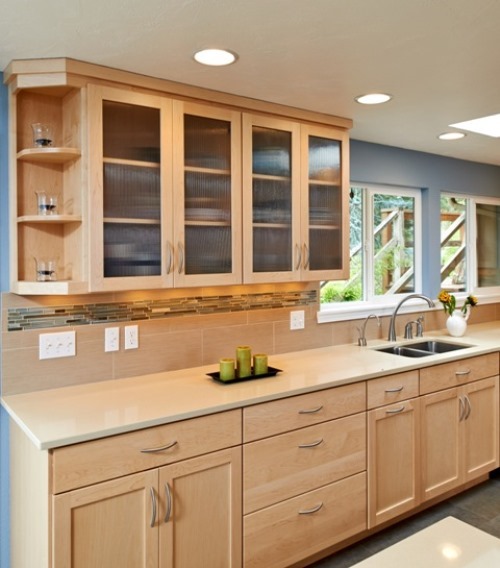 An easy alternative to glass door fronts is a lighter cabinet – for example, wood cabinets stained a golden color. This will make your kitchen feel as cozy as glass door fronts do, but without the high-maintenance of glass. 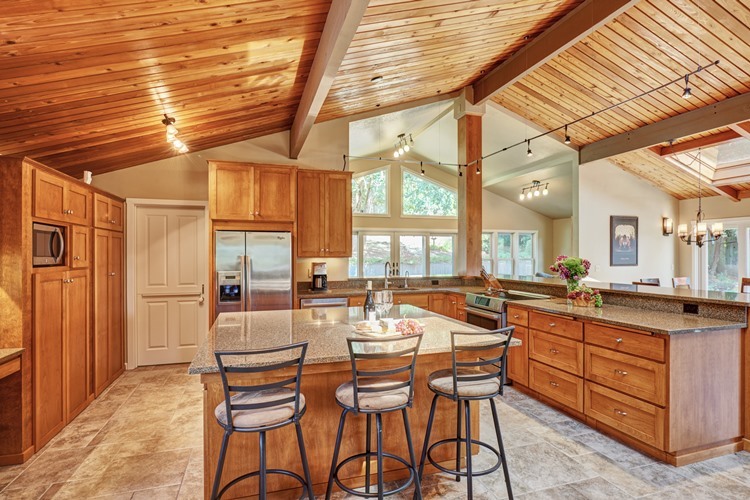 If you’re getting ready to remodel or update your kitchen, consider these tips for creating a welcoming and inviting kitchen that is as relaxing for you as it is for your guests.